Is It Time to Develop an Employee Off-boarding Strategy? As the talent war intensifies, talent management teams are responding by creating excellence at every stage of the employee life cycle in order to up their game. While attraction and engagement used to be the main imperatives, onboarding is now being recognized as a key stage of the employee lifecycle. Research by Execunet and others has shown both an increase in usage of onboarding strategies and a reduction in new hire failures as a result. Onboarding has moved from a “nice to have” to a “must have,” and I think that ‘offboarding’ has moved in that direction too as a way of making a noticeable enhancement to the talent management process. What do we mean by offboarding? We mean that administrative processes surrounding an employee’s exit of an organization once a decision to fire or resign has been made, which includes managing payments, health insurance, exit interviews, non-compete, work handover and intellectual and physical property handover, referees, to name a few. It seems that handling this process effectively can increase your ability to attract and retain talent. You may ask how can this innocuous 11th hour process have such an impact on the order of business? Well, first, have you seen the number of alumni networks that have sprung up on LinkedIn? Former employers will always represent your brand and they can be evangelists or detractors. One of the most vivid memories of your business will be how they were treated on exit, that is, how well were they offboarded. And if you offboard them badly, you can quickly create a vitriolic employee who won’t speak well of your business. Second, former employees can be great talent scouts for your firm, as they know what’s good about your firm. And we know that employee referrals are one of the most effective ways to hire at the moment. Therefore, great offboarding can help engender goodwill or restore some of the candidate’s faith in your organization making them more likely to refer talent. Third, past employees may decide to come back, and while a good offboarding experience might not have them doing a U-Turn, a bad one will stick in their memory and go a long way to deterring them from returning. This is a shame as boomerang employees have many benefits, (just ask Apple about the value of Steve Jobs second period of tenure), in that they know the ropes, onboard quicker and will have learned new things, possibly from the competition. 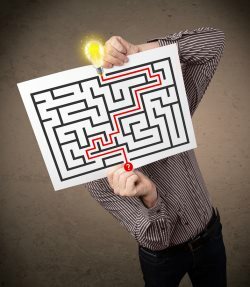 The benefits don’t stop there as exit interviewing is an integral part of the offboarding process, and if done well, can result in additional feedback about your organization which you can use to learn about employer brand strengths and weaknesses so you can enhance your talent management process. Finally, offboarding will also make sure that the employee is reminded of any responsibilities under a non-compete, non-solicitation or non-disclosure, which will help to protect both your talent and your business. So, yes, offboarding is the next area of the talent management process that needs upgrading in the face of today’s tough business climate to ensure that it is flawlessly executed. Fortunately, there are quite a few software packages out there to help make this process easier; do a quick search using the term “employee offboarding software applications” and you’ll find all the tools you need.